As I've mentioned on my Instagram post and stories (follow me if you haven't already), I caught a nasty cold in early October and spent the whole month coughing my lungs out. One thing I have struggled with throughout the recovering phase is how to make myself presentable- I have to meet people, I have to do the work but at the same time, it's exhausting to put an extra effort in doing my makeup routine like I always do. I still want to make myself feel good, just because I feel terrible on the inside, doesn't mean that I need to look like it on the outside, right? 😊. 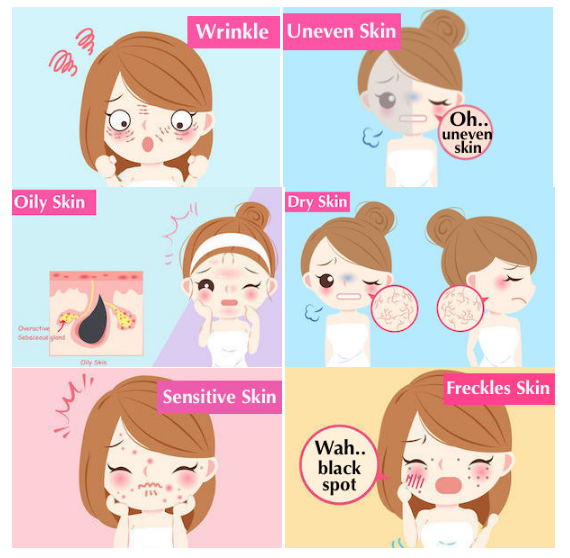 Hansaegee Nature contacted me almost a month ago and asked if I'd like to give some thoughts on their CC cream and since I seek for a quick, "no-makeup" makeup look and a routine that would not take much of my time, I thought why not? it could be the perfect time for me to test it out. TL;DR: it's an all-in-one skincare and makeup product smash up in a tube. 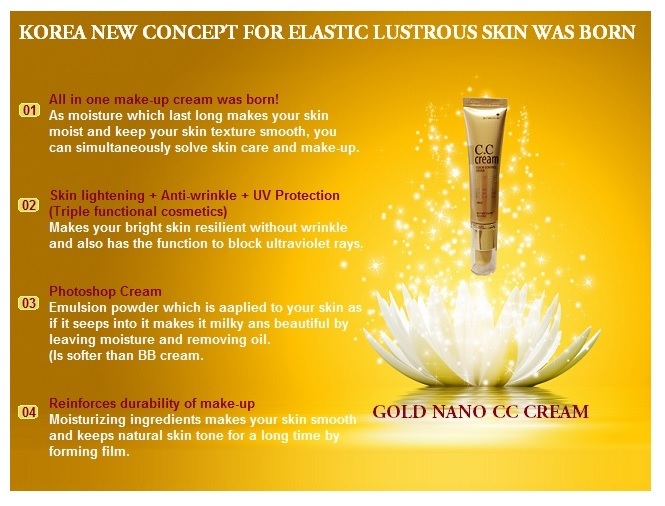 CC cream is like the improved version of BB cream that often comes along with skin benefit properties like SPF, brightening agent and antioxidants though generally, it carries the meaning of "colour correcting" cream. This is because the main purpose of a CC cream is to treat discolourisation (dullness and redness). It definitely served a different purpose than a generic foundation or a BB cream. CC cream is recommended for all skin types due to its skincare-like ingredients and often formulated with fewer silicons and less oily texture. Apart from Hansaegee Nature S+Recover Gold Nano CC Cream that I'll be reviewing today, there are a lot of CC creams in the market you can find at a wide variety of finishes and coverages, for example, Erborian High Definition Radiance CC Cream, It Cosmetics Your Skin But Better CC Cream, Innisfree Real Skin CC Cream, Banila Co. It Radiant CC Cream and Clio Water Me Please CC Cream. The only product in the same category I've used prior to this is the CC Cushion Intense Cover from The Face Shop. Hansaegee Nature is a skincare brand based in Malaysia and all of their products are made in South Korea. The word "Hansaegee" brings the meaning of "Korea Century". It's not my first time hearing about the brand because a local bridal makeup artist that I've been following closely loves to use Hansaegee Nature products on her clients, plus, this company isn't new- they have been around since 2011! Their best selling product is actually the one that I'll be reviewing today which is the S+Recover Gold Nano CC Cream. These days my skin is normal-dry, definitely dehydrated, hence my pores are big looking. I have a couple of hyperpigmentation and sun spots that are red in colours and they need extra effort to conceal but at most time, I don't try to hide them. Hansaegee Nature was kind enough to give 3 weeks of trial period before writing down the review. The product is housed in a medium-sized plastic tube and has a small nozzle opening which I'm approving because packaging like this is convenient for dispensing a cream that has a thickness to it. CC cream inside will not be leaked easily and the nozzle is also dispersing the right amount of product in a single pump. Hansaegee Nature S+Recover tube comes in a gold colour appearance to indicate the nanogold particles. It also has a good amount of opaqueness since the cream inside contains SPF30+ and anything with a clear packaging will make the UV filters to become unstable. 1. First off, let me tell you that the ingredients listed are free from any animal sources and it's totally a Muslim friendly product. It's also paraben-free, sulfate-free, alcohol-free, EU allergen-free and fungal-acne (Malassezia) safe. 3. This CC cream largely consists of solvents (water, mineral water), silicones (Cyclopentasiloxane, dimethicone) which explains the smooth texture and its ability to use as a makeup primer, 3 UV filters and humectants (propylene glycol, butylene glycol). There's also niacinamide and allantoin in the middle of the ingredient list, the former is used in a lot of brightening skincare products while the former is a well-researched ingredient that promotes skin healing and used as an anti-irritant product. 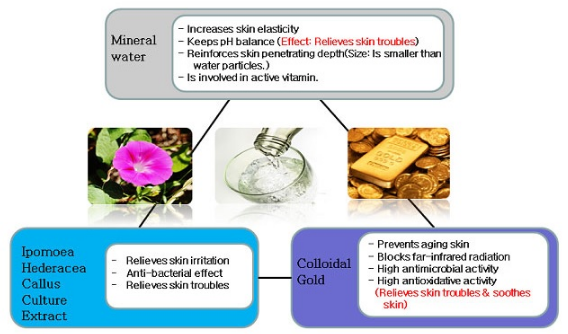 The rest of the ingredients mainly have skin conditioning properties and there are also several plant extractions. 4. Almost all of the ingredients are listed as "low-risk" according to EWG Health Rating standard. The only ingredient that's not friendly is 4-Methylbenzylidene Camphor (Enzacamene); an organic UV(B) absorber but bare in mind, not everyone reacts the same towards a certain ingredient. The SPF is listed as 30+ and Ethylhexyl Methoxycinnamate and Titanium Dioxide are the other two ingredients that help to block harmful UV rays from the sun. 5. Based on the ingredients alone, you're able to see the difference between CC cream and BB cream or a foundation 😁. ✨Finishing= radiant or minimum sheen. ✨Consistency= light to medium, it closely resembles the texture of a physical sunscreen. ✨White Cast= zero to minimum. This Korean made CC cream has an easy application with just blending it out using fingers. It will be good if you are a beginner in makeup or someone who doesn't have the accessibility to makeup tools. It can be useful for touch up too and I'm thinking of something that you could bring inside your bag and use it after prayers in between work. Upon squeezing it out from the tube, you can see that the cream is white in colour and has a lot of tiny brown capsules. Interestingly, when you blend it out, the cream will turn into brownish colour, similar to a foundation. It will leave a moisten and glowing looking finish that's able to resemble your original skin colour if you blend it out properly with the right amount of product. It has a moisturiser thickness, not too light as a hydrating moisturiser but not as heavy as an occlusive moisturiser, let's say the Cetaphil Moisturizing Cream that I did a review before. On the makeup point of view, it's less lightweight than watery foundation and this CC Cream is definitely less oily than almost all foundation or BB creams I've tried. The best comparison I can give is; the texture reminds me a lot of a physical sunscreen! I took my hand swatch for a water test, and it seems to be waterproof. You can see a lot of water droplets on a small part of my hands covered with Hansaegee Nature CC Cream. One thing that surprised me the most is how this CC cream is able to minimise pores appearance, hence making my skin looks smooth. You can totally see differences in the picture below. This will smoothen out your skin and ready for the next layering. Another point I'd like to highlight is using Hansaegee Nature CC cream as a primer. It's actually no stranger that CC cream is designed to be a makeup primer, but this item I'm talking about here is A REALLY GOOD PRIMER! You guys remember some time ago when the beauty industry got shook after Nivea After Shave Balm? It works so well because it has glycerin and a sticky consistency to it. The finishing of this CC Cream reminds me a lot of the sticky primer in the market that serves a purpose of making your makeup looks vibrant and long-lasting. Put any blusher or bronzing/contouring powders on top of this Gold Nano CC Cream and they will stick, your makeup will last all day. I prefer to apply this cream using fingertips because the product will be slightly warmed and therefore can avoid the CC cream layer to be patchy or clings onto dry patches. This product brightens up the dull hues that I have during my sick days WITHOUT making overall complexion looks grey or ashy. Titanium Dioxide particles, apart from being a great sun filter for sensitive skin, it's also a common ingredient added to brightening and tone up cream. I cannot guarantee if the 'natural finishing' would work the same on a very deep skin tone, there's probably a minimum white cast. So, what I'd recommend is to add this to your foundation and mix it well. It's not recommended to store the product in a place with high or low temperature and has a direct exposure to sunlight. This is due to the active sun filters formulated inside. Since the cream almost resembles a physical sunscreen and has a waterproof property, I'd recommend using double cleansing method to remove the cream from your face. At a price of nearly RM100, Hansaegee Nature CC Cream is on the pricier side tho but you'll get the gold, like pure gold. Other famous gold-based skincare products such as Alpha-H Liquid Gold, Peter Thomas Roth 24K Gold Mask, Farsali Rose Gold Elixer and Omorovicza Gold Flash Firming Serum are also on the heavier price tags.